How fast time flies! 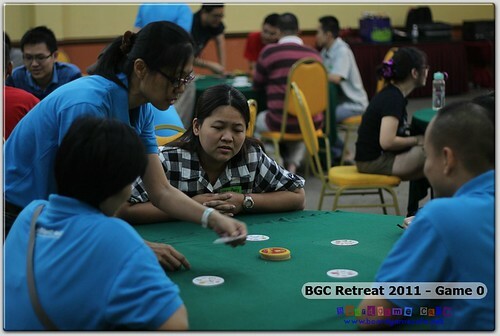 Has it been a year since we did our last Retreat in Genting? Almost. 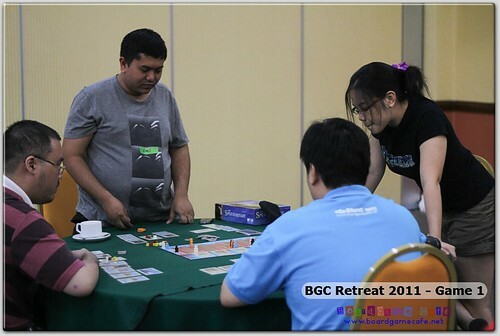 To be exact, 11-months since last July when a group of 15+ gamers were brought to Genting GICC 6,000 feet above sea level and locked themselves up in a room to do nothing but play boardgames all-day long! 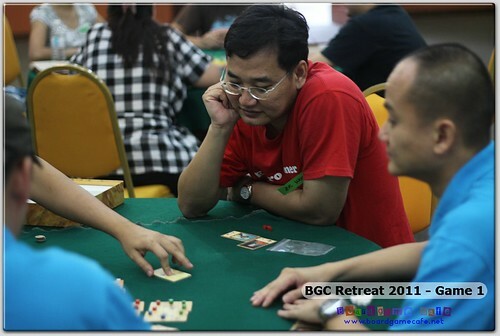 We did 3-4 games in a full 8-hrs stretch, took a quick dinner break and then resumed gaming till 3 am in the morning! 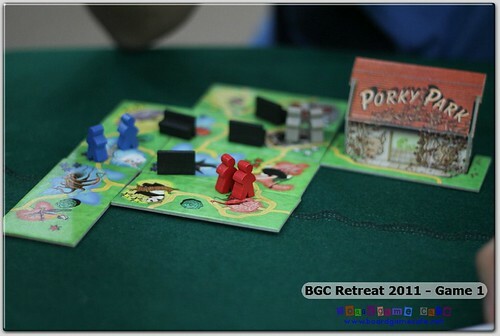 This year we decided to have a change of landscape – instead of the cool weather of a highland resort, we now have the calm serenity of a beach resort – and extended the gaming to two full days. 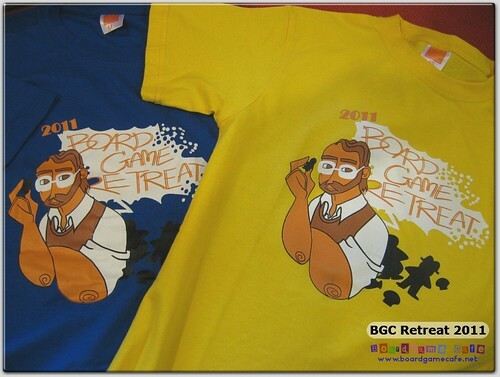 That’s 16-hrs of intense gaming packed into two solid days. 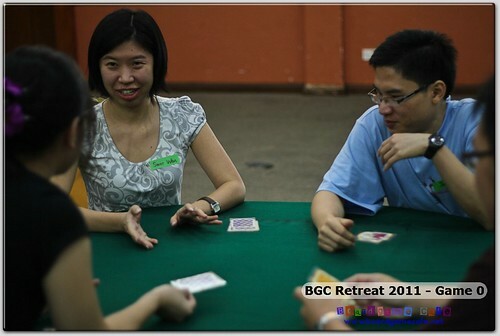 The Retreat package is cheaper this time around – for about the same price as last year, we are now able to throw in accommodation (obviously accommmodation at PD would be more modest than those at Genting’s casino hotel but then again, you are not going there to spend all your waking time sleeping right?) and meals (except dinner). And what do you get for this package? 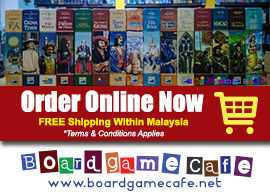 – a generous 40% discount on any one game (if you buy a game that costs around Rm300, this 40% discount is worth rm120 alone). 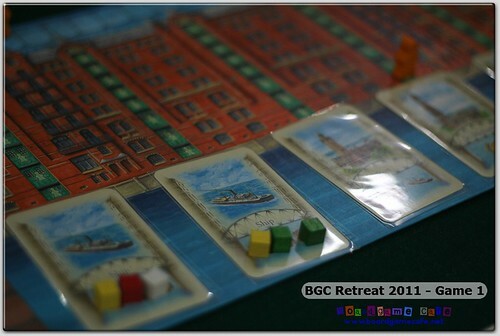 – and above all, a PRICELESS gaming experience! 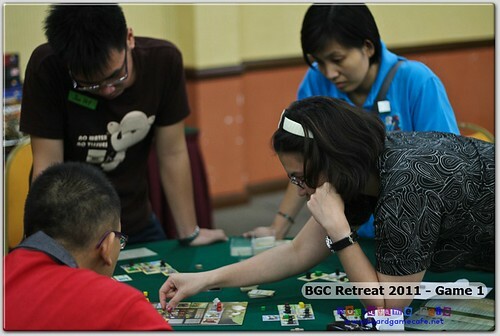 PS: The event generated so much post-event buzz for the participants that Boardgamecafe.net decided to extend to the Retreat participants a one-time special promo of 30% discount on all the games played in the Retreat! 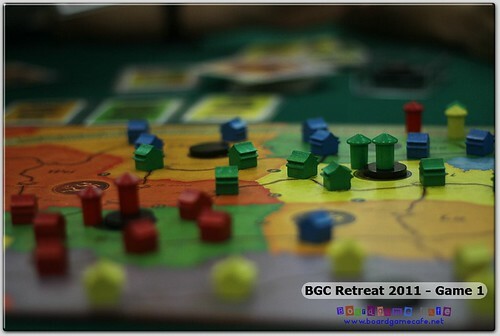 And I’ve to add the participants in such Retreats are the BEST bunch of gaming crowd you can possibly game with! Don’t believe me? 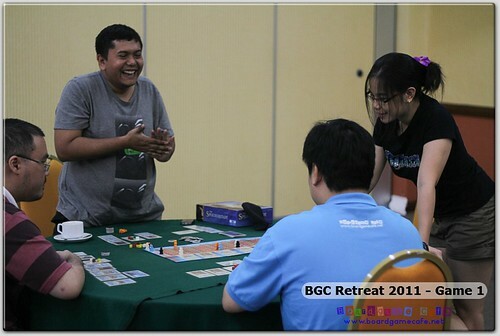 Look at our photo albums… the FUN is all etched in their faces for an awesome gaming weekend where they get to play not just the latest new arrivals like Troyes, Alien Frontiers, Luna, Navegador, Survive, Automobile but also lesser-seen-games like K2, Havana, Acquire, Cafe International, China, Innovation, Glory to Rome – all in 2 days! 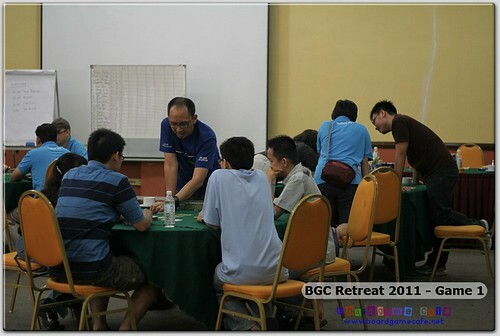 Gamers: Teddy, Lee Ching, Wong LC, Wolfx, Lester, Emil, Kareem, Lee Peng, Janette Pang, Junyet Wong, Jacelyn, Swee Wan, Jun Keat, BK Woo, Nurul, Azmir, Daren Tan, SK Wong, Ainul, Waiyan, and CK Au. 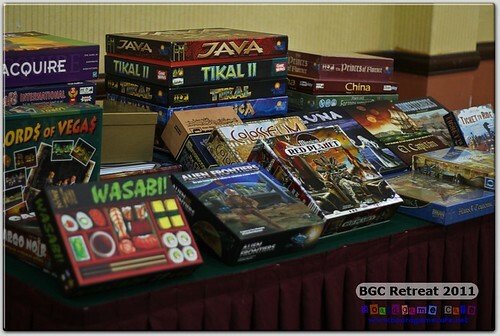 Games: Hue Knew, Halli Galli, Jungle Speed, Spot It!, Slamwich, Glen More, Mykerinos, Speicherstadt, China, O Zoo Le Mio, Alien Frontiers, Lords of Vegas, Tobago, Cargo Noir, Mission Red Planet, Automobile, Navegador, Hansa Teutonica, Luna, Power Struggle, K2, Jamaica, Havana, Cafe International, Survive Escape from Atlantis, El Capitan, Fresco, Acquire, Thebes, Carson City, Troyes, Tikal, Mexica, Giants. 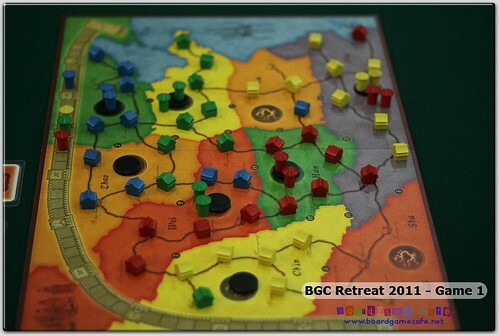 Games on Special After8 Menu: Serendipity, Take 6, Innovation, Glory of Rome, Race for the Galaxy. 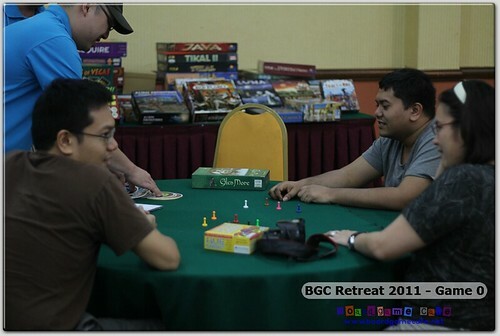 While waiting for the rest to arrive, the gamers were quick to organize some impromptu sessions… Serendipity was seen in play at one of the games (I understand this game was brought here courtesy of Afifter). More pictures of Serendipity (above & below). 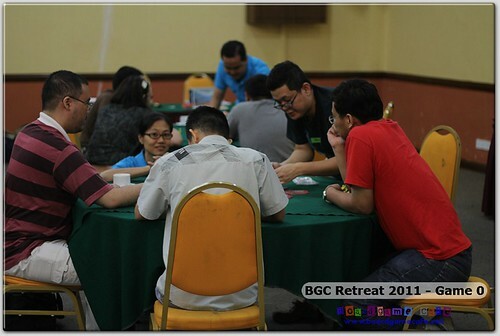 As is the norms in BGC Retreats, we always kick-off the event with a “Seating” game ie. 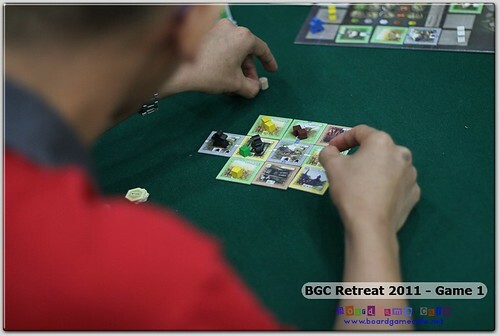 one that’s light and fast to play yet provides a method to organize the gamers into the starting tables. 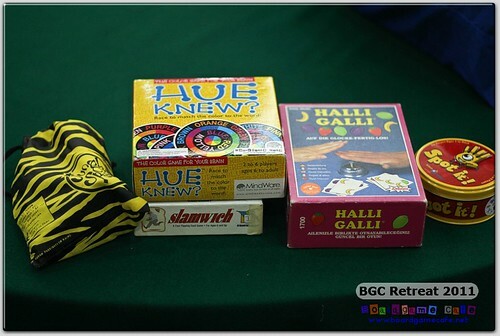 For this year’s GAME ZERO, waiyan focused on “reflex action” as a theme and picked game such as Spot It!, Slamwich, Hue Knew, Halli Galli and Jungle Speed. 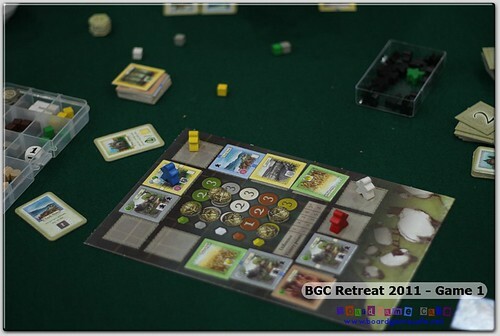 The gamers were quickly organized into five tables, rules were taught (the plus point with Game Zero games are the relatively quick teaching of rules usually in 5 min), and off they started! 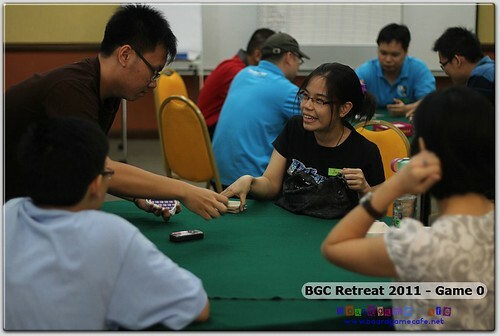 Ainul and Emil (above) trying to create their own rules for Hue Knew while waiting for waiyan. 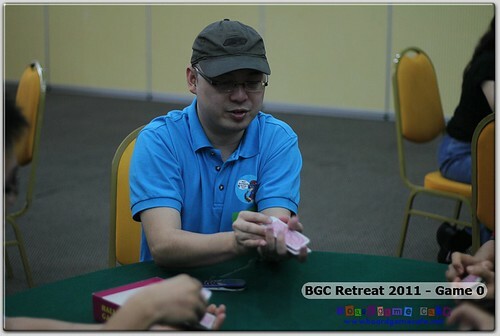 SK Wong teaching Halli Galli in Table 2. 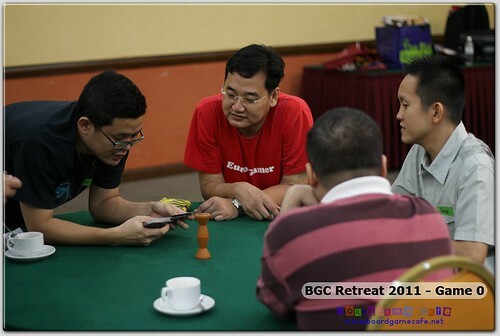 Ken (right) listening attentively in the beginning…. 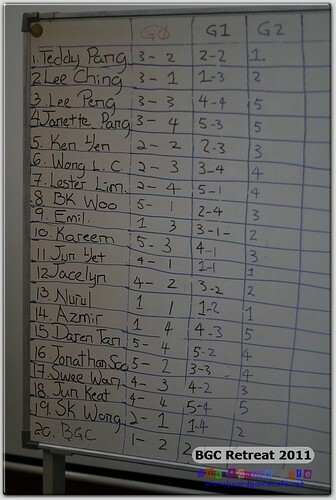 Game 0 / Table 3: SPOT IT! 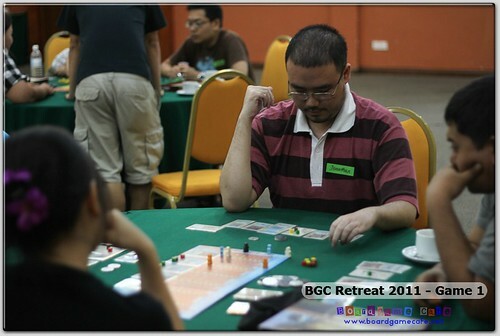 Waiyan at Table 3 with Spot It. 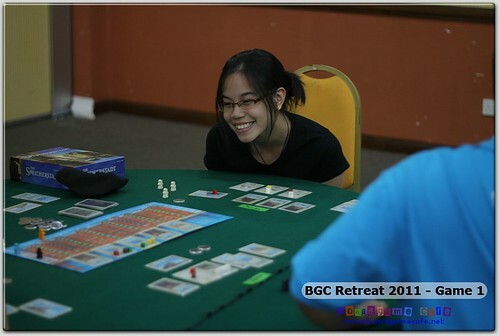 Janette, first-time Retreat participant enjoying herself with Game Zero’s Spot It! 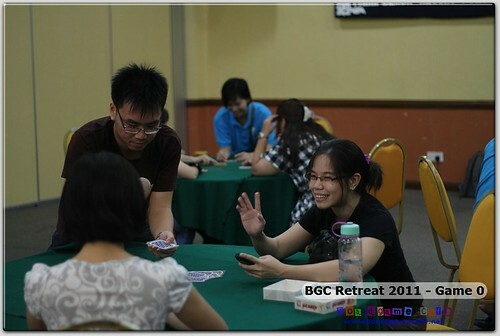 Swee Wan & bro, Jun Keat who hail from Seremban.. Also first-timer to our Retreat and already slamming each other in Slamwich. Sweet couple, Junyet and Jacelyn in Slamwich. Did this group self-taught themselves Slamwich? 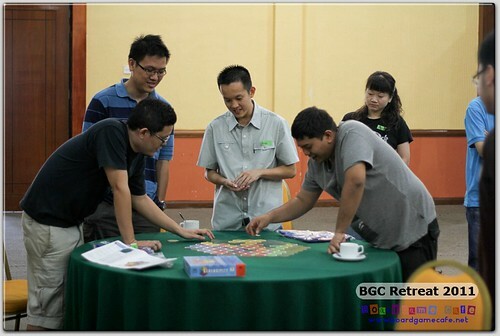 Hehe… Not surprising since it’s a very easy game to learn/teach. 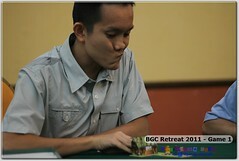 Kareem’s teaching Jungle Speed at Table 5. 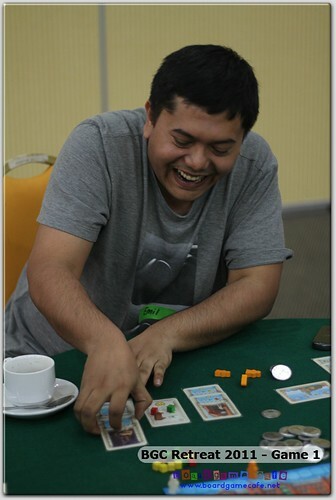 You can hear the laughter ricocheting through out the room as everyone was enjoying themselves immensely on Game Zero. 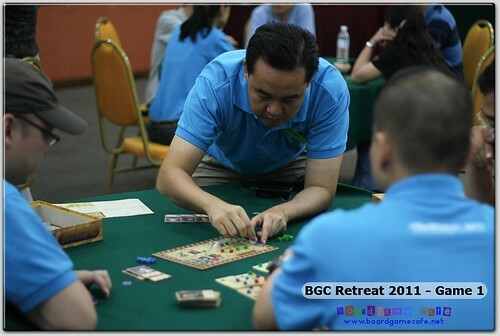 The gamers were then re-grouped according to their finishing position within the tables. No score is yet allocated at this stage. 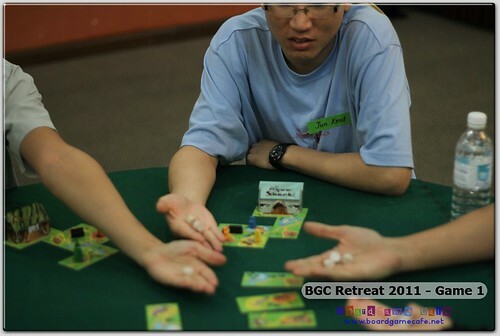 We use Game Zero as a seeding round. 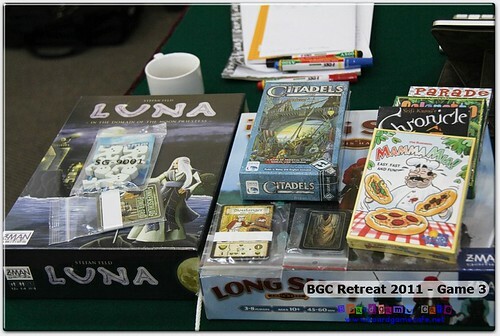 Game One represents the proper start of the Retreat where scores were now tracked for each game round, culminating with the top scoring gamer winning the top prize for this event, which is a copy of LUNA, one of our recent new arrival from designer Stefan Feld. 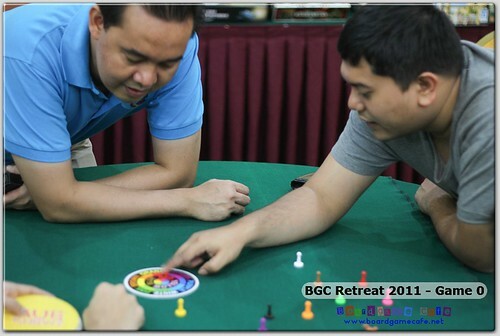 Part of the appeal of our Retreat is the mix of new-vs-old games. 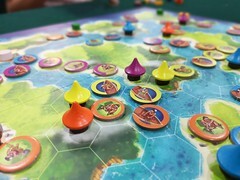 While two of the games in this round are recent arrivals – Glen More and Speicherstadt – we’ve added three older games (one of them no longer in print/stock) such as Mykerinos, China and O Zoo Le Mio. 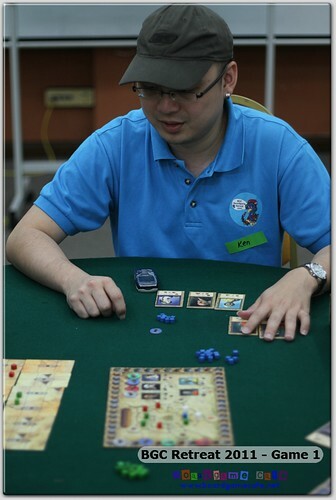 Arguably the most complex of the five games in this round, GLEN MORE was introduced in Table 1 to the “winners” of Game Zero. Do not be misled by the size of the game box.. this game while playable in under 60 min packs quite a lot of whoop in its gameplay. 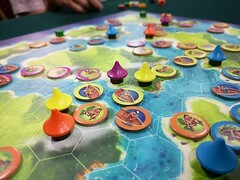 The placing of your newly acquired tile and the activation of your “chief” are key concepts you need to get right very quickly to do well in this game. 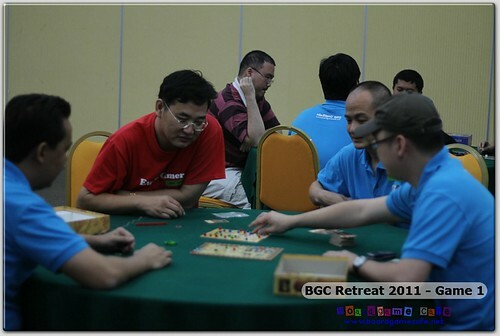 Everyone appeared so intense in this table! Phew…. 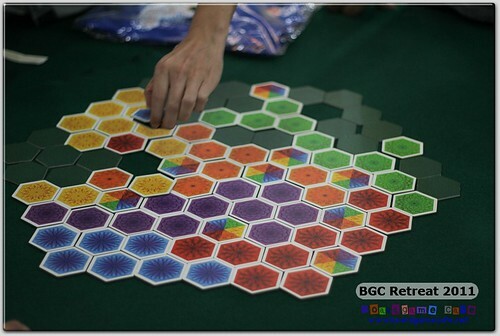 This game is part of the new trend where the games play relatively fast but pack a lot of oomph in that short playing time. It is also a fave of one of our retailer partner FND Mindspot in TTDI having received a very warm welcome there after it was intro-ed by Emil & his gang. 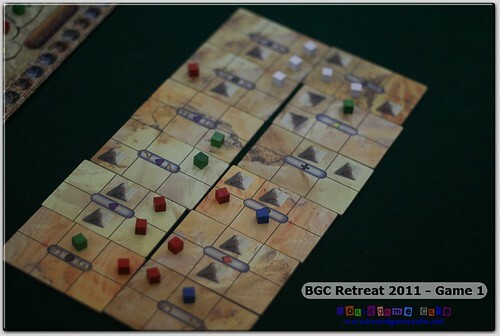 This game is about Egyptology and archaeologists constant search for treasures in the sands of Egypt. 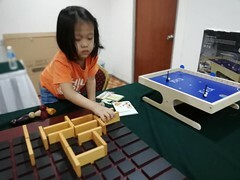 Gamers (as archaeologist) carry out excavations in parcel of land (top tiles) while at the same time, preparing their “discoveries” to be exhibited in the Museum of Mykerinos (below). 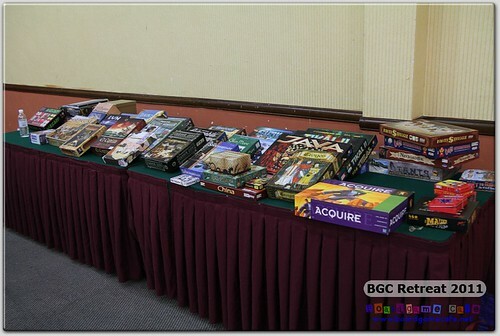 At its heart, it’s a mix of area majority game (excavation parcel), set collection (treasure) and VP multiplier (museum exhibition). 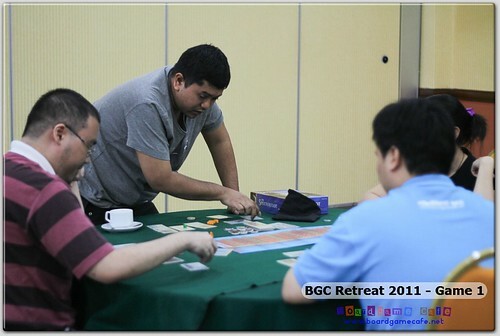 Four archaeologists – ainul (bgc), bk, teddy and ken – competing in Mykerinos. 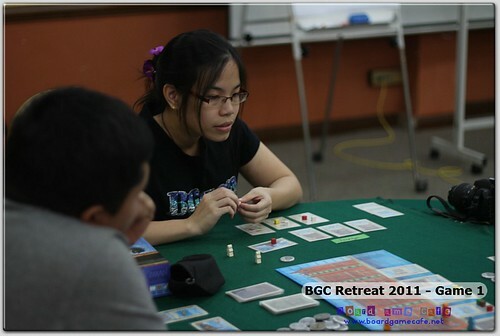 Ainul (representing BGC) making the correct calls in where to excavate and as a result, won this game and moved up to Table 1 with Teddy (runners-up) for the next session. 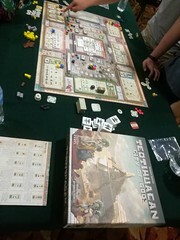 It’s an auction game featuring an unique bidding mechanism. Money is tight and the winning bid depends on how many competitors put their legs into what you want. 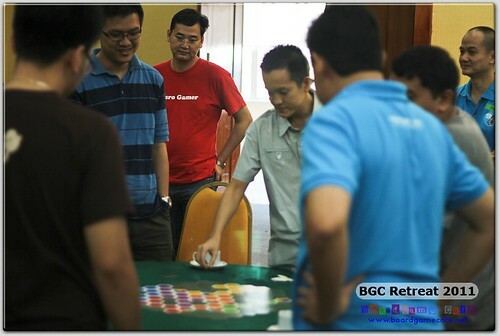 DerChef Emil setting up the game before teaching the rules to this group. 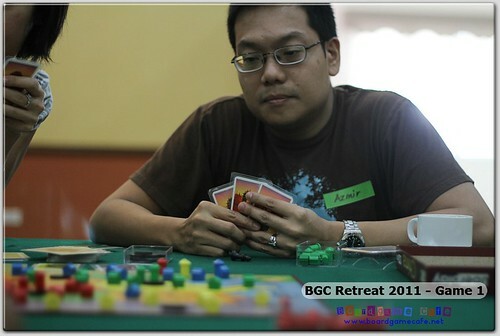 Jonathan kept a serious face as he remained focus on the task at hand. 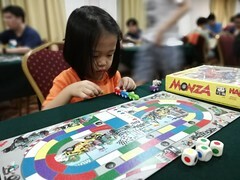 Even the jovial Emil was quietly contemplating his next move. Not sure what made them broke into laughter but they were enjoying themselves… yet Jonathan remained dead serious with the task at hand. Emil: Okie okie.. Got to stop laughing. 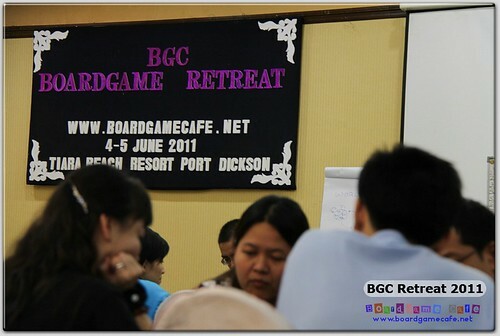 Need to focus on the game la. 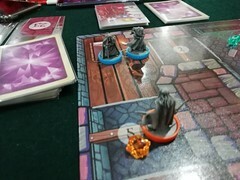 I think I’m losing. And Jonathan continued to remain dead serious. Emil enjoying himself. Must have snagged a bountiful auction! 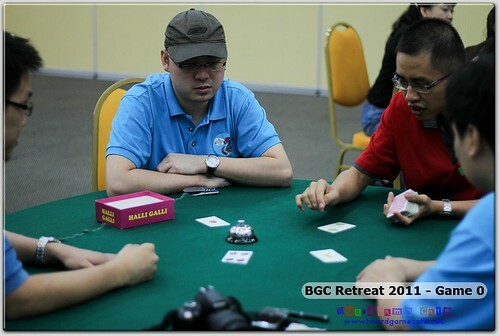 As Sifu of the game, he won comfortably. 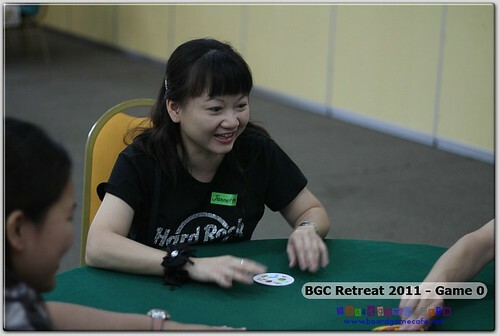 Do not let that sweet smile deceive you… she plays tough. 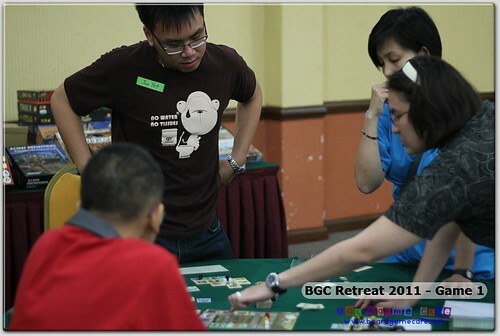 And deservingly ended up as runners-up in this game and moved up to Table 2 together with Emil. 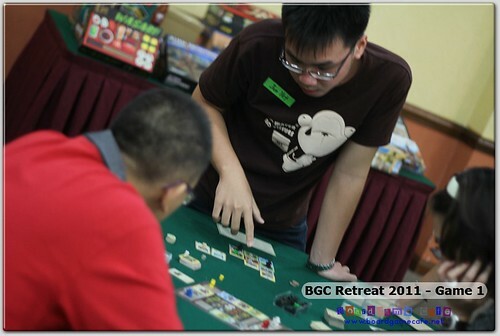 Table 4 had the opportunity to play an old fave that’s out-of-print – CHINA. 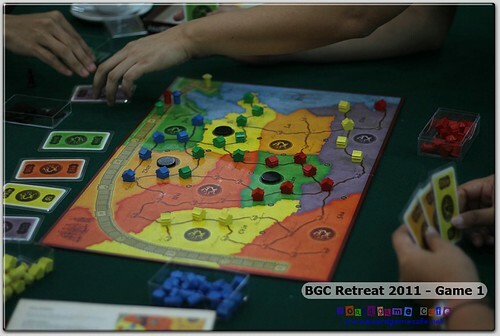 China is a simplified area majority game (not unlike El Grande just simplified) where players compete to build houses (links) and appoint emissaries to grow their influence. 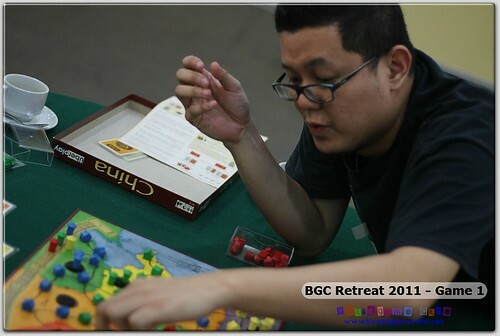 Azmir trying to lord it all over the rest in China. 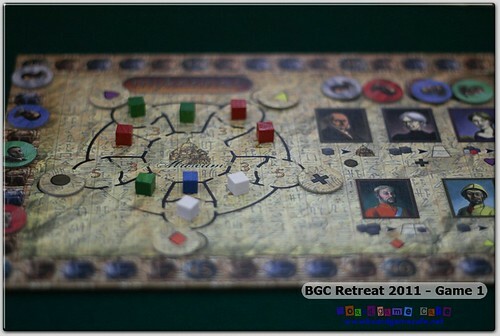 Colorful board and nice wooden components make an eye-pleasing game. 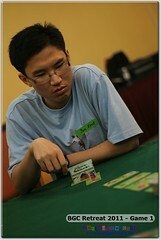 Kareem in action in China. 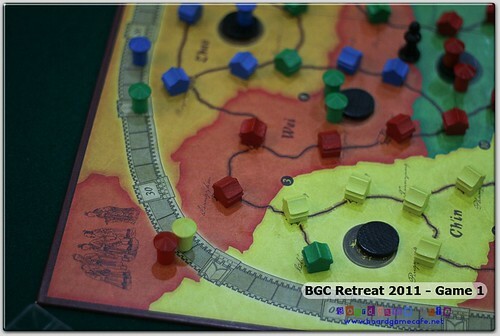 Hmm… China while remaining a simplified El Grande and not as confrontational is still usually competed fiercely. 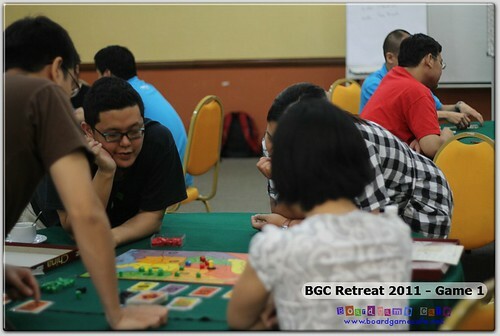 Strangely in this session, everyone seeemd to be cooperating and keeping to their own province! Alamak… MYOB ka? According to Azmir, this was the pre-Three Kingdom era. 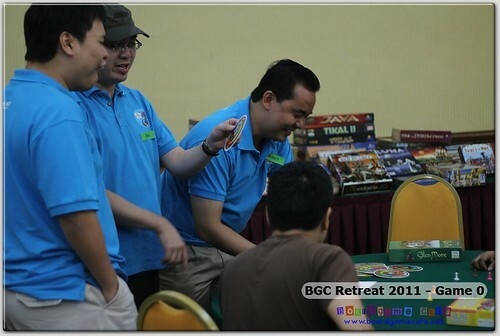 Well, Azmir (green) did manage to sneak in a side-shot in the Chin province but he said he did it too late in the game to influence the final results. 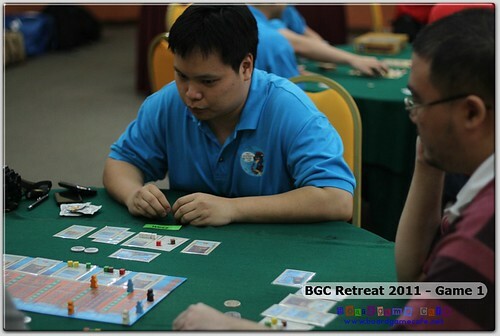 So there we have it, a pre-3Kingdom China ended with Kareem and Swee Wan emerging victorious (both of them were tied on points) and will join Ken & BK in table 3 next. 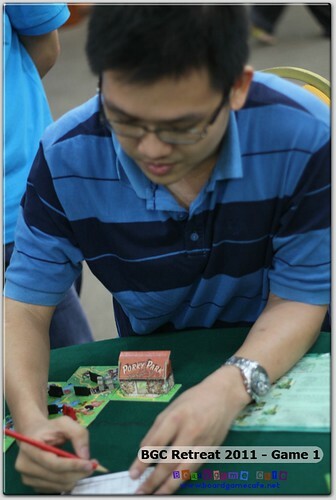 But if you ask Ken Yen (wolfx) – ex-Porky Park zoo director – he’ll tell you this zoo is not for the spatially-challenged gamer. Kekeke. CK Au explained to new zoo directors how to run their zoo parks. As Zoo Directors, your objective is to bid for the various improvements offered by the City Council to build up your zoo to be the most attractive to visitors (well, an empty zoo is not much useful, yes?). 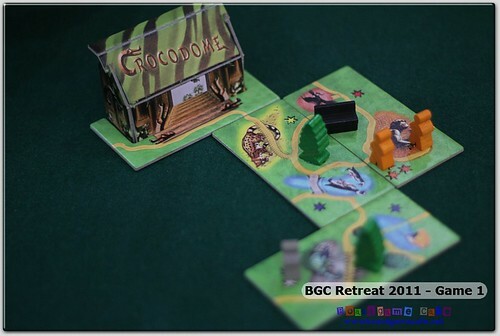 In line with today’s eco-theme, you’ll also get a bonus if your zoo is the most green. 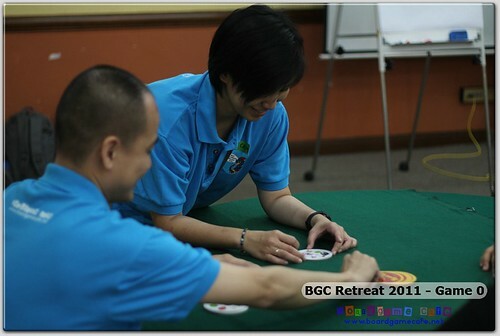 New zoo directors – Jun Keat and Daren – pondering over their zoo’s expansion plan. Lester, newly appointed zoo director taking over Porky Park managed to turn it around and made Porky Park the zoo of choice for this year. 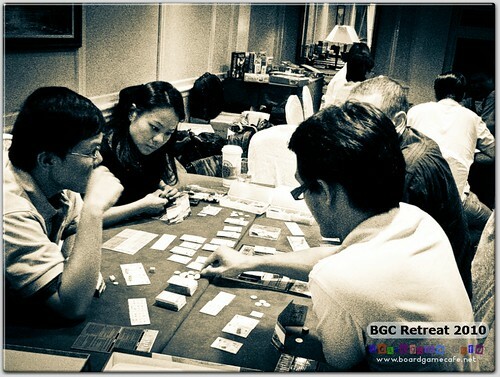 As a reward, he’ll get a trip to Macao (Cargo Noir) with Daren, while Janette & Jun Keat remained here for the next session. Scorecard after Game One. Scores in the 2nd number. For Game Two, we’ve Alien Frontiers, Lords of Vegas, Tobago, Cargo Noir and Mission Red Planet. Stay tune for our next report (click here to read).